Liverpool head coach, Jürgen Klopp, has never lost a two-legged tie since he joined Liverpool in 2015. Eight times Liverpool’s head coach was in charge of a two-legged affair, and every time his team advanced. In fact, Klopp has only lost four two-legged affairs throughout his entire career (all with Dortmund). It is in finals where Klopp’s teams struggle the most — the head coach has already lost three finals. Thankfully, for Klopp, however, the game on Tuesday against Bayern will simply kickstart the knockout stage of the UEFA Champions League. A two-legged affair that will without a doubt favour Liverpool over the Red from Munich. Liverpool have been spectacular at times this season and with one game in hand are second in the English Premier League — even on points with Manchester City. The spectacular results in the Premier League, in particular, have made Liverpool the favourites over Bayern. But the Reds from Anfield are not without worries ahead of the clash of giants on Tuesday. Defensive problems and two draws against Leicester City and West Ham United have exposed some of the problems in this Liverpool side. Furthermore, LFC will be without star defender Virgil van Dijk in the first leg and also might have to do without Dejan Lovren. “I can’t say he will be definitely out, but I can’t plan with him either,” Klopp said at the training camp in Marbella to the press about Lovren. As a result, Liverpool tested Fabinho as a centre-back at the camp and the Brazilian could be forced to play out of position against a Bayern attack that has shown its class once again on Friday against Augsburg. 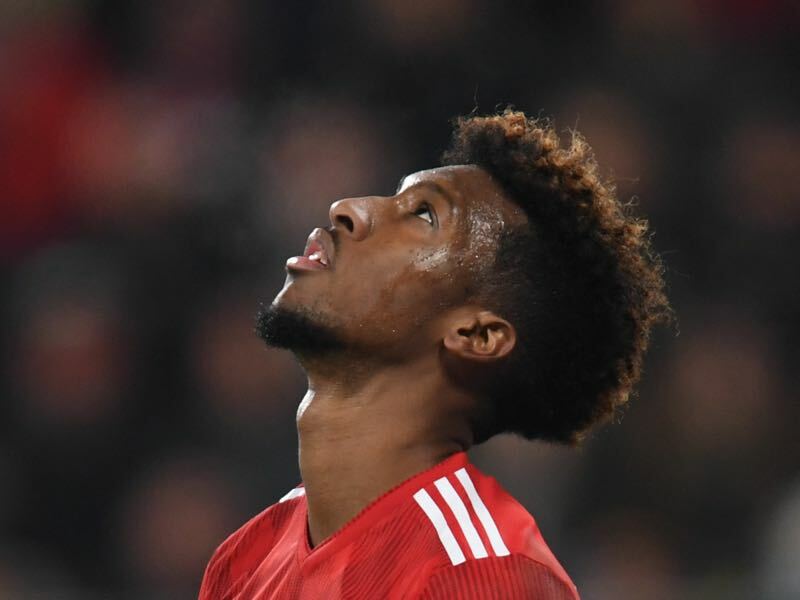 Fortunately, all fears that Coman could be out for the clash on Tuesday were put to bed on the weekend. Coman has trained with the side and travelled with Bayern to Liverpool. There he will likely form a formidable attacking line that will also include Serge Gnabry, James Rodríguez and Robert Lewandowski. It is an attacking formation that could cause some significant problems to a Liverpool defensive line that has struggled in recent weeks. Unfortunately, for Bayern, however, the Reds from Munich are all too familiar with defensive problems themselves. Bayern have struggled all season to keep opponents from scoring against them. Against Augsburg, the very first attack led to the quickest own goal in Bundesliga history after Leon Goretzka put the ball past his own keeper Manuel Neuer. “It is something that has been haunting us all season,” Kovač said after the game. “Every shot is a goal,” he added. 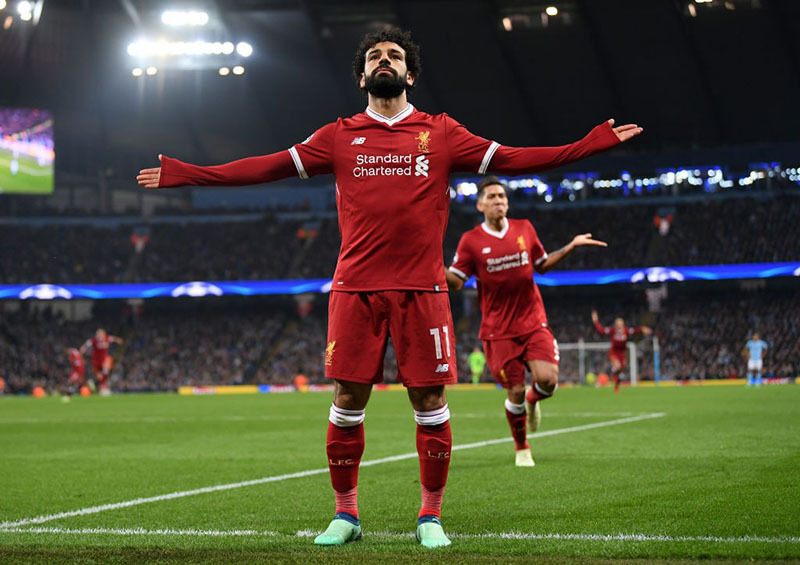 Against Liverpool, that sort of defensive behaviour could be deadly as LFC have their very own start attack in the form of Mohamed Salah, Roberto Firmino and Sadio Mané. “We have to defend in small spaces and attack in large spaces,” Kovač explained to the media. “When we attack the defence has to push forward so that we don’t give up room when we lose the ball,” Kovač concluded. Bayern conceded 46% of their goals from attacks that were played through the centre; it is in that area where midfield and defence have to cooperate better and close the gaps for Liverpool to find no space to develop their attacking prowess. For Kovač the best approach might be to go back to his Eintracht Frankfurt days. Like he dismantled Bayern in the DFB Pokal final with his former side Eintracht Frankfurt the solution could be to sit deep and compact and hit Liverpool with speed going forward. In fact, the game against Liverpool could suit Kovač’s coaching style better than the majority of the games in the Bundesliga. The Berlin-born former Croatian national team player relishes the chance to upset the apple-cart against a formidable opponent. 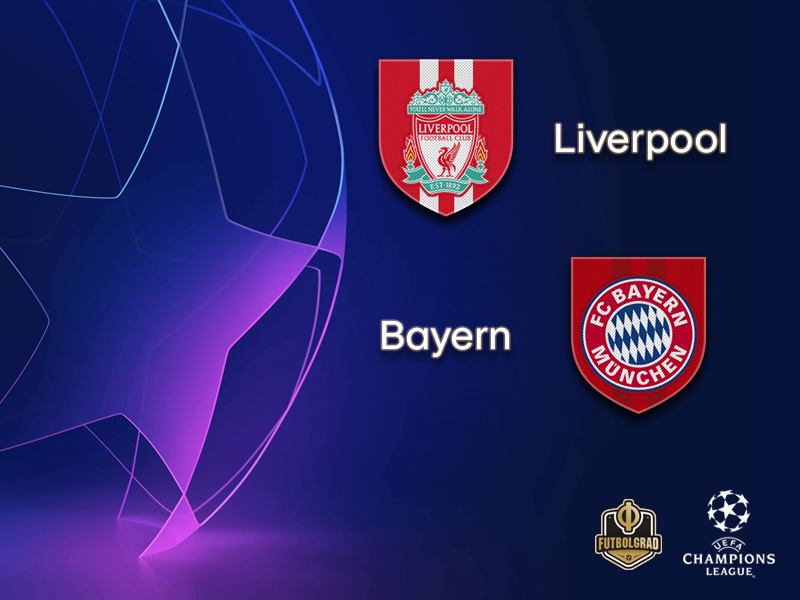 Liverpool are such an opponent and while the Reds from the Mersey will be the favourites in the two-legged affair one should never count out this Bayern side that despite defensive problems still has plenty of talent to come up with something special. Kingsley Coman’s ankle was the subject of major concern for Bayern on Friday night. The winger had an excellent game and with his two goals was the man of the match for Bayern. Unfortunately, he then went down with an injury just before the final whistle, and there were worries that he could miss the game on Tuesday. Those concerns have been mostly mitigated as Coman did travel with Bayern to Liverpool and, despite some problems in training on Sunday, is understood to be part of the starting XI. Having Coman available will be crucial for Bayern, the winger is an unpredictable player that on his day can be impossible to defend. Surprisingly given the two clubs’ rich European histories, this is only their sixth match – and their first in almost two decades. The sides last met in the 2001 UEFA Super Cup at Monaco’s Stade Louis II, Liverpool winning 3-2. The Reds also came out on top against Bayern in the semi-finals of their victorious 1980/81 European Cup campaign. Bayern were victorious in the sides’ first contests, in the 1971/72 European Cup Winners’ Cup semi-finals. 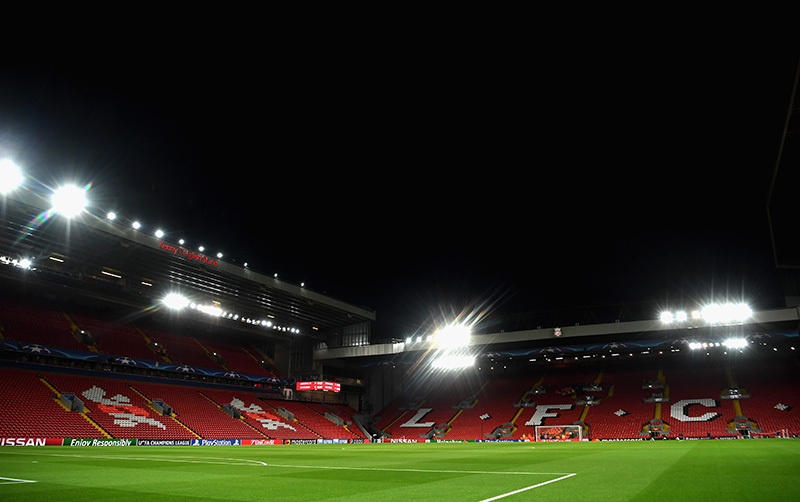 Liverpool have won their last six home games against German clubs, since that 1981 stalemate against Bayern – indeed, the English side have won 14 of their 17 home games with German visitors, the exceptions the two draws with Bayern and a 0-0 result against Köln in the first such encounter, in March 1965. Bayern’s round of 16 record is W11 L3. Having won the last seven, they have not lost at this stage since an away-goals defeat at the hands of FC Internazionale Milano in 2010/11. Bayern’s record in two-legged ties against English clubs is W10 L5; they have won the last five since losing 6-5 on aggregate to Chelsea in the 2004/05 quarter-finals.